Let your allotment bloom all year round. Now you can garden with less worry and pick a delicious cherry tomato from a BillyOh greenhouse whenever your heart desires. Made from quality materials, these are sure to last for all seasons and will allow you to produce the most optimum growth for your herbs and vegetables. All types of materials, size, and greenhouse styles from BillyOh are easy to assemble, well-built and well-designed, for the best value for anyone. Find the perfect garden greenhouse that will protect your fragile plants from the harsh elements and weather at BillyOh! Every green-fingered individual knows how vital it is to have a greenhouse as it helps them to grow their delicate seedlings. This garden building is made to shelter plants that need maximum care and protection. Our greenhouses kits feature UV-protected polycarbonate glazing, tough and rust-free aluminium framing. It’s also available in 4 sizes, so if your garden space is limited, you can opt for the mini sizes. In addition, we also have wooden greenhouses designed to suit all tastes and budgets. Greenhouses - especially solar greenhouses, continue to grow in popularity due to their energy efficiency, ability to collect solar energy from the sun, and their ability to provide year-round growing conditions for a variety of fruits and vegetables such as avocados, citrus fruits, and tomatoes. Solar greenhouses use the sun's energy to provide the entire greenhouse's year-round heating solutions, even in cold climates. But, you may be wondering how a greenhouse differs from a solar greenhouse. All greenhouses collect energy from the sun, but what differentiates a greenhouse from a solar greenhouse is that a solar greenhouse has the ability to collect energy from the sun and then store the heat for evenings or cloudy days. Unlike conventional greenhouses, solar greenhouses utilise the sun and natural resources without relying on outside sources of energy for cooling the greenhouse in the summer and warming it in the winter. A greenhouse is typically made of all glass and does not pay attention to the direction of the sun, whereas a solar greenhouse relies on the sun for energy as much as possible. While conventional greenhouses and conventional farming try to maximise the yield of crops, they are not always safe for human health or the environment. However, many of the same factors come into play for both conventional and solar greenhouses. For example, both types of greenhouses rely on proper ventilation, insulation, heating, and cooling. What Makes a Solar Greenhouse? A solar greenhouse must contain a collector, absorber, storage mass, distribution system and control system in order to classify as a solar greenhouse. Let's talk about these in more detail. 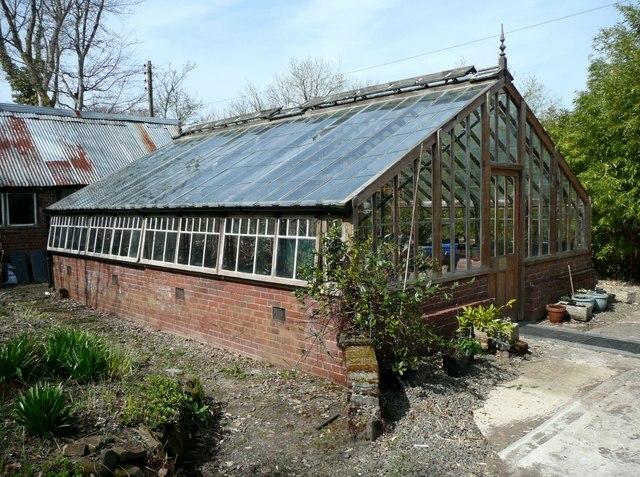 First of all, a collector includes the glazing of the greenhouse. This includes the glass, acrylic, polycarbonate, and fiberglass material commonly used for glazing. Next, an absorber helps the greenhouse to absorb energy and heat from the sun. Absorbers are usually darkened surfaces on walls or floors, or even water-filled containers stored inside the greenhouse. Next, the storage mass is used to retain heat and energy after it has been absorbed from the sun. Some examples of storage mass include concrete, water, or brick. The distribution system refers to the ventilation of the greenhouse. It involves circulating the heat throughout the greenhouse naturally. Finally, the control system refers to the insulation that helps to keep heat inside of the greenhouse, especially in the winter or in the evening. An insulated curtain, blank, or roof overhang can help to optimise insulation. Solar greenhouses rely on the sun for energy, which is why glazing is such an important factor for optimising greenhouse design. The sun shines through clear areas of the greenhouse in short waves, which strike objects in the greenhouse and reflects long waves. Due to the glazing, long waves cannot escape from the greenhouse, so the greenhouse is able to absorb heat more readily. Insulation locks the heat in and natural ventilation helps to keep the air circulating throughout the greenhouse which leads to stronger, healthier plants and crops. Solar energy is beneficial in many different ways. Most importantly, it's sustainable, beneficial to human health and benefits the world as a whole. Let's talk about these benefits in more detail. Great portions of the world's energy are generated from fossil fuels like natural gas and coal, which is both costly and harmful to the environment. However, solar energy is inexpensive and does not pollute the world we live in. Eliminating the use of fossil fuels helps to reduce greenhouse gas emissions including carbon dioxide (CO2). More and more researchers are studying the harmful effects of greenhouse gases and how they contribute to climate change and rising global temperatures. Greenhouse gas emissions pollute the air, leading to potential health problems. Solar power cleans the air and reduces cases of cardiovascular and respiratory problems amongst people. Who Can Benefit From a Solar Greenhouse? Since greenhouses help to extend the growing season, any type of grower can benefit from a solar greenhouse, whether they are home growers or mass growers who produce larger quantities of crops. Many home growers choose to build a solar greenhouse attached to their home or barn and larger producers or growers typically build them as a separate shed, hoophouse, or underground pit. There are pros and cons to each option, but there are many important principles that must be taken into consideration when building a solar greenhouse for the first time. There are two types of solar greenhouses to consider: passive and active. Passive solar greenhouses are excellent options for small growers, homes, and buildings since they tend to be more cost effective, especially during the growing season. Active greenhouse designs rely on additional resources to move heat throughout the space. Many people desire a multi-use passive design which allows them to heat their house and use the greenhouse as a three-season room that lets them grow plants, dry clothes without a dryer, and more. Sources of conventional energy are typically not used since the greenhouse relies solely on the sun's rays as they pass through glass windows. Then, the inside of the greenhouse absorbs the heat and retains it. Successful passive solar greenhouses depend on the orientation and thermal mass of the greenhouse's external walls (or its ability to store and circulate heat throughout the building). South-facing windows are used to collect solar energy, and sometimes supplemental PV panels are used in addition. The energy should be collected and then moved to cooler areas and surfaces. On the other hand, active solar greenhouses rely on supplemental energy to move the solar heated water or air from collection (or storage) areas to other locations in the greenhouse. Cooler or cloudier climates may require additional gas or electric heating in addition to solar energy. Unless growers are producing large amounts of crops, solar electric heating systems are not low in cost. Plus, active solar collectors are much more complicated than passive collectors, in terms of design. Flat-plate PV panels are used and sometimes multiple panels are conjoined to form modules. Before designing, constructing, and maintaining a greenhouse, it is important to take these factors into consideration. We already talked a little bit about the ways in which solar greenhouses differ from conventional greenhouses, but let's now discuss the differences in more detail. These major differences are important in order to understand the principles of solar greenhouse design. To design, build, and properly maintain an energy-efficient building, these principles should always be taken into consideration. Greenhouses that are attached to other structures such as homes or barns, often use passive greenhouse designs to generate energy. These spaces are usually home to food plants, herbs, and transplants. On the other hand, freestanding greenhouses are large enough to commercially produce vegetables, herbs, and ornamentals. They are often built as a shed-like structure or a hoophouse. Let's talk about these two options in more detail. Greenhouses built with the shed-like design are oriented to have the greenhouse's long axis running from east to west. Then, the south-facing wall is glazed (with some sort of window) to collect solar energy. Meanwhile, the north-facing wall is insulated to assist in heat loss prevention. A conventional greenhouse, however, has its roof running north-south to allow for uniform light distribution on all sides of the plants. The north wall is covered or painted with reflective material to reduce the effects of poor light distribution in an east-west oriented greenhouse. 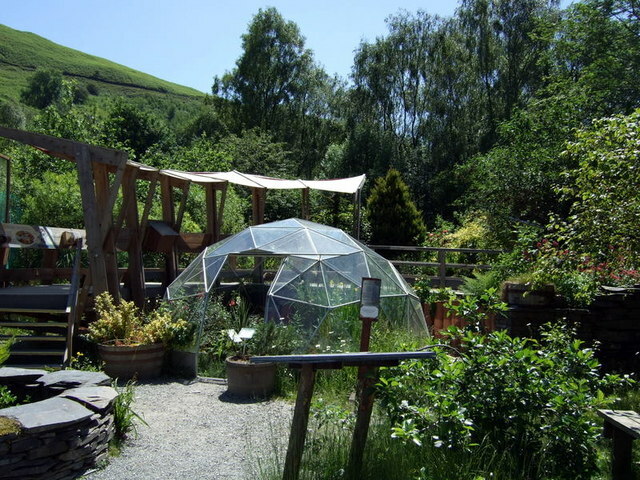 Another type of freestanding greenhouse is a hoophouse. Hoophouses differ from shed-like designs in different ways. For starters, they are rounded and symmetrical and do not have an insulated north side. They must be designed to enhance the distribution and absorption of the solar heat that enters them. To do this, the heat must be collected through a process called earth thermal storage (or ETS) or through other means of installation. The greenhouse wall must be insulated to reduce heat loss. How Does Solar Heat Get Absorbed? Two factors influence the way in which solar heat gets absorbed by a greenhouse. First, the location or position of the greenhouse and the sun play a major role in how much sun gets absorbed. Second, the glazing material such as glass, plastic, or fibreglass is essential. The sun's energy is much stronger on the southern end of a structure, so solar greenhouse glazing should face the south. If mountains, trees, or even other types of buildings block the path, however, a 15° to 20° south orientation will help to provide about 90 percent of the solar energy needed. A southeastern orientation may be beneficial during the spring months, especially if your solar greenhouse is used to grow transplants. However, you can use this resource to enter your time zone, latitude, and longitude to determine the proper orientation for building a solar greenhouse in your area. In addition to proper solar orientation, glazing is another important factor for getting your solar greenhouse to absorb as much heat as possible. As a general rule, glazing should be sloped to absorb the most amount of heat. To get the proper angle, you should add 10° or 15° to the site latitude. Sloping isn't the only important aspect of glazing; the materials used also make all the difference. Proper glazing should welcome as much solar energy as possible while also minimising energy loss. For optimal plant growth, photosynthetically active radiation (or PAR) should be allowed to enter through glazing materials. For example, fibereglass, rough-surface glass, and double layer rigid plastic all diffuse light. Clear glass allows for the transmittal of direct light. Today, plastics are used most frequently as glazing materials due to their high durability and enhancements that provide anti-condensation properties, radiation transmission, infrared radiation absorbency, and radiation degradation inhibitors. In addition, the method used for mounting glazing material also affects the amount of heat absorption and heat loss. Any cracks or holes caused by mounting will allow heat to escape from the structure. We'll talk about the pros and cons of each glazing material in the next section. Glass is an all-purpose material that can be used for many different home and garden projects, including solar greenhouse design. However, there are some disadvantages to using glass. When using a single layer of glass for glazing, it allows for an 85 to 90 percent light transmission with an R-value (a common measure used in installation) of 0.9. If the glass isn't broken, its lifespan will be indefinite. Plus, tempered glass is even stronger and requires few support bars. However, glass is a fragile material which is easily broken and may not be able to withstand the weight of snow and ice. For this reason, it may require numerous supports. In addition, clear glass does not diffuse light well. An alternative to using a single layer of glass includes factory sealed double glass. Factory sealed double glass provides a light transmission of 70 to 75 percent and an R-value of 1.5 to 2.0. If not broken, its lifespan is indefinite and it can be used in freezing temperatures. However, it is heavy, difficult to install, requires precise framing and does not diffuse light. Polyethylene is another glazing material option. It has more advantages than glass, but does have some disadvantages as well. A single layer of polyethylene allows for an 80 to 90 percent light transmission and an R-value of 0.87. Polyethylene helps to reduce heat loss, is usually treated to resist condensation, and polyethylene treated with ethyl vinyl helps to resist cracking and tearing in cold weather. Plus, it's inexpensive and easy to install. Precise framing is not required and it's the least expensive glazing material available. However, polyethylene does have several disadvantages. First of all, it is not as durable as glass. It is easily torn and UV-resistant materials only last about one to two years. You cannot see through the material and its light transmission decreases over time. In addition, it tends to expand and sag during warm temperatures and shrinks in cold temperatures. You may also wish to use a double layer of polyethylene. A double layer provides 60 to 80 percent light transmission and an R-value of 1.5 for 5ml films and 1.7 for 6ml films. When a blower is used to offer an air space between the two layers, heat loss is greatly reduced. Plus, IR films are treated to reduce heat loss. No-drop films are treated to resist condensation and polyethylene treated with ethyl vinyl acetate helps to resist cracks and tears due to cold weather. It's also expensive to purchase and is easy to install. Like the single layer of polyethylene, there are some disadvantages. Even double layers of polyethylene are easily torn, with light transmission decreasing over time. 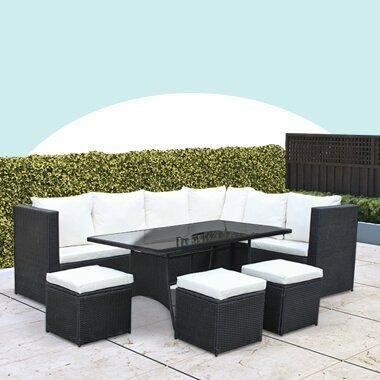 UV-resistant polyethylene only lasts one to two years, expanding and sagging in warmer weather whilst shrinking in cold weather. Polyethylene is also not see through. As a third option, corrugated high density polyethylene is available. This material allows a light transmission of 70 to 75 percent and an R-value of 2.5 to 3.0. Some advantages are that it is resistant to water, mildew, and chemicals as well as not discoloring or turning yellow. Laminated acrylic or polyester film can also be used as a double layer for glazing. It allows a light transmission of 87 percent and an R-value of 180 percent. It can last more than ten years and it combines the weather ability properties of acrylic with the high service temperature of polyester. However, it is not fire-resistant and acrylic glazing's expand and contract quite a bit. For this reason, framing must allow for a change in size. Allowing for an 85 percent light transmission, double layer impact modified acrylic is another great option. However, it does come with its own set of disadvantages. Impact modified acrylic is not degraded or discolored by UV light and it's highly strong and durable, making it a great material for protecting against hail. However, they are also not fire-resistant and they expand and contract like laminated acrylic or polyester film. As another glazing option, fire reinforced plastic (or FRP) allows for a light transmission of 95 to 90 percent and an R-value of 0.83. There are several advantages and disadvantages to using fiber reinforced plastic for the glazing of your solar greenhouse. Fortunately, fire reinforced plastic can last anywhere between five to twenty years, protecting against weather, acids, and sunlight. Due to the translucent nature of the material, it helps to diffuse and distribute light more evenly. However, its light transmission decreases as time goes on and is the most flammable glazing material. Additionally, the insulation ability does not melt snow. Double wall rigid plastic polycarbonate provides a light transmission of 83 percent and an R-value of 1.6 for 6mm and 1.7 for 8mm. Even though polycarbonate can be expensive and isn't clear or translucent, it does have several great benefits. Polycarbonate is the most fire-resistant plastic glazing material and is also UV-resistant. It's strong, lightweight, long-lasting, and is generally easy to cut and install. Polycarbonate lasts for about seven to ten years. When used as a triple and quad wall rigid plastic, polycarbonate film provides a 75 percent light transmission. When used for triple walls, it offers an R-value of 2.0 to 2.1 for 8mm and 2.5 for 16mm. When used for quad walls, it offers an R-value of 1.8 for 6mm and 2.1 for 8mm. Other than it not being clear and its ability to expand, polycarbonate offers several great benefits. It is easy to cut and install, lasts for between seven to ten years, as well as being very strong and durable. Additionally, it's the most fire-resistant of all plastic glazing materials, is UV-resistant and lightweight. Before choosing a glazing material for solar greenhouses, you need to understand four important numbers. Two of the numbers have to do with heat efficiency of glazing material, and the other two must be considered for the optimal growth of plants. First, the solar heat gain coefficient (or SHGC) should be considered. This measures the amount of sunlight that is able to pass through a specific glazing material. Generally, numbers over 0.60 are optimal. Second, the U-factor should be considered. The U-factor measures the amount of heat that is lost outside through the glazing material. You should look for numbers less than 0.35 BTU/hr-ft2-F.
Third, the visible transmittance (or VT) should be considered. This number measures the amount of visible light that is able to enter through a specific glazing material. Numbers over 0.70 are desirable. Fourth, photosynthetically active radiation (or PAR) should be studied. This number measures the amount of sunlight in wavelengths, which is critical for photosynthesis and optimal plant growth. A good PAR wavelength range (or a measure of wavelength) is 400-700 nanometers. To see whether or not the glazing material allows the necessary spectrum of light for optimal plant growth, make sure to look at the total visual transmittance rather than the PAR transmittance when choosing a glazing material. Light transmission and energy efficiency aren't the only important factors to consider when choosing a glazing material for your solar greenhouse. Additionally, you should consider the lifespan of the material, its resistance to damage from rocks or hail, its ability to support snow and other types of precipitation, the resistance to condensation and its fire-resistance. You also need to consider the ease of installation, sheet size, and total distance required between supports. For the walls that are not used with heat absorption, they should be reflective or light colored to direct heat and light back into the solar greenhouse, helping to evenly distribute light throughout the greenhouse. Generally, the amount of heat storage needed depends on the location in which you live in. Two gallons of water or 80 pounds of rocks are usually needed to store heat in southern or mid-latitudes, but more heat is needed for those of us who live in the northern latitudes. If you live in cooler climates, you will need five or more gallons of water to absorb heat. You also need three square feet of four-inch thick brick or cinder block for each square foot of south-facing glass. Additionally, the amount of heat storage material depends on whether or not you intend to use your solar greenhouse to extend the growing season, or if you plan to use it year-round. If you intend to use your greenhouse for extending the growing season in colder climates, you will need 2.5 gallons of water per square footage of glazing. Generally, you need about half of what you would need for year-round greenhouse production. If you intend to use water as a heat storage material, you can paint a 55-gallon drum a dark, non-reflective colour. Milk jugs, glass bottles, or other small containers are even more effective in heating cloudier storage areas. Small containers have a higher ratio of surface area, which results in quicker heat absorption when the sun is out. However, plastic containers begin to degrade after about two or three years of use in direct sunlight. Glass containers capture heat more effectively than dark metal containers, but they also break more easily. Trombe walls are another great way to store heat in your solar greenhouse. These low walls are placed inside the greenhouse near south-facing windows to absorb heat on the front (south-facing) side. Then, the heat radiates into the greenhouse through the back (or north-facing) side of the wall. But, what is a trombe wall exactly? Trombe walls are thick masonry walls coated with dark, heat-absorbing materials. They are faced with a single or double layer of glass and are placed about ¾" to 6" away from the masonry wall to attract heat. For example, metal foil can be placed on the outer face of the wall to increase solar heat absorption while also decreasing heat loss. What About Water Walls or Rocks? Water walls are another option for attracting heat. They are similar to the trombe wall, but they use water-filled containers instead of masonry walls. Water-filled containers are placed in line with the sun's rays to attract heat from the sun. Water may be stored in sturdy containers or hard, plastic tubes. Rocks may also be used for heat storage. Rocks should be about ½" to 1 ½" in diameters to provide enough surface area for optimal heat absorption. To keep the rocks contained, they may be placed in wire-mesh cages. However, you need about three times as much rocks as you would need water, since rocks have a lower BTU storage value than water does. Regardless of the material you choose to use for heat storage, you should remember to place the materials in a location that will collect and absorb the greatest amount of heat without losing heat to the surrounding air. Although they are more expensive that rocks or water, phase-change materials are other options that can be considered for heat storage. Phase-change materials are five to fourteen times more effective than conventional materials when it comes to storing heat, but they are more expensive. Phase-change materials use fatty acids, calcium chloride hexahydrate, Glauber's salt, paraffin, sodium thiosulfate pentahydrate and disodium phosphate dodecahydrate. Phase-change materials alter from solid to liquid in order to absorb and store heat. Plus, they also help to regulate heat in the summer months. As we discussed earlier, active greenhouses often rely on additional methods of heating and cooling. Active greenhouses rely on forcing materials through pipes buried in the floor, such as solar-heated water, air, or phase-change materials. Inexpensive drainage or sewage piping can be used for piping if you use hot air for subsurface heating. Corrugated drainage tubing is another more expensive option that allows for greater interaction between the heat in the tube and the heat in the ground. Once the pipes are installed, they should be covered by a porous flooring material that allows for water to enter into the surrounding soil. This is because moist soil produces heat more efficiently than dry soil. Additionally, root-zone thermal heating with water may also be used along with gas-fired water heaters. It's typically easy to install and can easily be adapted to solar. The amount of crops in your solar greenhouse also impacts heat storage. A full greenhouse stores heat more efficiently than an empty greenhouse. Certain vegetables and herbs are also more appropriate than others for cool and warmer temperatures. For example, crops such as celery, dill, basil, kale, marjoram, oregano, parsley, Swiss chard, turnips, collards, cabbage, spinach, leeks, green onions, garlic, and fennel can all tolerate cooler temperatures. Cucumbers, broccoli, pea pods, peppers, eggplant, tomatoes, and cherry tomatoes all require warmer temperatures to grow. The outside of the greenhouse should also be properly insulated. While underground greenhouses do have their benefits, there are some issues with them as well. First of all, underground greenhouses may increase the risk of water seeping through the soil into the floor of the greenhouse. However, you can decrease the risk by building your greenhouse at least five feet above the water table. You can also dig drainage ditches around the greenhouse to keep water away from the walls of the greenhouse. We already know that glazing helps to bring light and heat into a solar greenhouse, but it also helps with insulation. When choosing a glazing material, you should decide on a material that provides good insulation and light transmission. You may also choose to apply an additional layer or glazing for added insulation. You may worry that greenhouse curtains may block light from entering the greenhouse, but it actually helps to reduce heat loss. Curtains should be used in the form of greenhouse insulation sheets made from two-inch thick bats of polystyrene. Thermal blankets made of foam-backed fiberglass, polyethylene film, and foil-faced polyethylene also assist with insulation. Even though greenhouses should be able to collect and store heat, they also need to be able to ventilate when temperatures rise. Ventilation and air exchange are important in giving plants the carbon dioxide and humidity levels they need to thrive. To figure out the amount of ventilation needed in your greenhouse, multiply the volume of your greenhouse by two to get the cubic feet of air exchange per minute. Additionally, sidewall or roof-ridge vents can help to provide natural ventilation. However, wind is necessary in order for sidewall or roof-ridge vents to operate effectively. On days without wind, fans are necessary to help move air through the greenhouse. Solar chimneys are also effective for passively ventilating greenhouses. However, air-conditioning units and photovoltaics may also be set up as a way to actively ventilate greenhouses. Active ventilation methods are often more expensive and complex than passive methods. Now that we know what it takes to design a solar greenhouse, it's time to put everything together. As discussed throughout this article, a solar greenhouse needs to be orientated toward the sun and it must be properly insulated to store as much heat as possible. However, it needs to be able to ventilate properly. The greenhouse must also be adaptable to certain seasons and weather conditions. Now, let's take some time to go over the steps needed to create a well-functioning solar greenhouse. We can't build a solar greenhouse without the sun. Because of this, we must capture the sun through proper glazing and other light-capturing materials. Light-capturing materials should face the sun (or the south) to help attract heat. When you live in the northern hemisphere, your solar greenhouse should face the south, especially if your greenhouse is meant to attract heat all year round, even in the winter. Your solar greenhouse should be properly insulated in order to keep the greenhouse warm during cold or cloudy weather. While many greenhouses have the ability to collect energy, many fail because they aren't able to lock in the heat. This is where insulation comes in. To properly insulate your greenhouse, the complete north wall of the greenhouse should be insulated. The east and west sidewalls can be insulated for added protection. While there are several disadvantages to building an underground greenhouse, there are plenty of advantages to insulating underground. The ground of the greenhouse is just as important as the roof and four walls and underground insulation can help to retain even more heat. Otherwise, the greenhouse will lose as just as much beat from the ground as it will from the roof and walls. When you insulate the perimeter of the greenhouse, you can help to prevent heat loss through the floor. You can do this by creating a pocket of soil beneath the greenhouse which will help to create an even temperature all year-round. Effective greenhouse design should be able to withhold heat in colder weather. However, the greenhouse should be designed to attract heat when it is needed in the winter and reduce heat in the summer. Since light comes in from different angles depending on the time of year, your glazing materials should be able to transmit light for any time of the year. Even though locking in heat may seem like the most important aspect to maintaining a solar greenhouse, it's just as important to reduce light and heat in the summer. Many climates with hot summers may lead to an excess of heat and light, which is why a light-diffusing glazing is important. Thermal mass is a material that is able to store vast amounts of thermal energy. Water, stone, soil, and concrete are a good examples of thermal mass. As we discussed earlier, 55-gallon drums of water may be stacked under direct sunlight in a greenhouse to attract heat in the winter. Ventilation is an important part to maintaining a solar greenhouse. Just as solar heating is needed to create a well-functioning greenhouse, so is ventilation. Ventilation helps to cool down things down, keeping plants happy and healthy, reducing the risk of disease in plants or insect infestation. To properly ventilate your greenhouse, you should place vents lower to the ground and add exhaust vents higher up. Using this method, you'll take advantage of natural airflow. Is a Solar Greenhouse for You? If you're thinking of designing and building a solar greenhouse in your garden, there are many benefits that you can take advantage of. However, proper planning, designing, and building must all come into play to ensure that your greenhouse functions properly and offers enough heating and cooling so that your plants survive and thrive all year long. To avoid retaining too much heat and light in the summer and to attract necessary light and heat in the winter, your solar greenhouse needs to be oriented correctly using optimal glazing materials. You must ensure that the greenhouse is properly insulated, especially when you live in cold climates with snow, ice, and harsh winters. Ventilation is also hugely important, especially during hot summer months. After you've built your solar greenhouse, it's important that you maintain it properly. Once your greenhouse is built and it's time to plant, there are many other important factors to consider. As you get started, take the time to learn about the different types of plants that will thrive in your specific climate, how much water they need, and the best ways to clean and sanitize your greenhouse. Whether your solar greenhouse is for home use or for sale, it is important to do as much research and preparation as possible to ensure that you grow healthy plants all year long.